The first half of the twentieth century could very well be considered a type of design diaspora. Much has already been written about how architects and designers were displaced by authoritarian, nationalist, and anti-democratic regimes. We know about the Bauhaus exodus, for example. The United States became a fertile ground for the likes of Herbert Bayer, Mies van der Rohe and Walter Gropius. The same could be said for England, where designers like Arthur Korn and Erich Mendelsohn became influential figures within expatriate design communities. Lesser-known artists, such as the Catalan anti-Franco graphic designer Josep Renau, are slowly becoming the subject of proper historical treatment. However tragic the individual stories may be, these designers are known. In the 1920s and early 1930s, German Jewish architects created some of the greatest modern buildings in Germany, mainly in the capital Berlin. A law issued by the newly elected German National Socialist Government in 1933 banned all of them from practicing architecture in Germany. In the years after 1933, many of them managed to emigrate, while many others were deported or killed under Hitler’s regime. Pentagram Papers 37: Forgotten Architects is a survey of 43 of these architects and their groundbreaking work. The paper is based on the extensive research of architect Myra Warhaftig, who sadly passed away last Tuesday, 4 March at age 78. 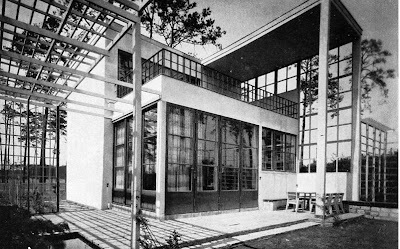 Warhaftig spent twenty years investigating the fates of these architects and only recently published her findings in her book German Jewish Architects Before and After 1933: The Lexicon. An exhibition based on her work is set to open at the Jewish Museum Berlin later this year. David Sokol has written about Warhaftig and her project in an article published today in the Jewish culture blog Nextbook.